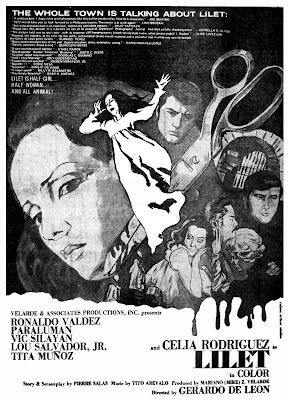 An Invitation to the screening of FPJ Productions' "Juan De La Cruz," the unfinished masterpiece of Director Gerardo de Leon. 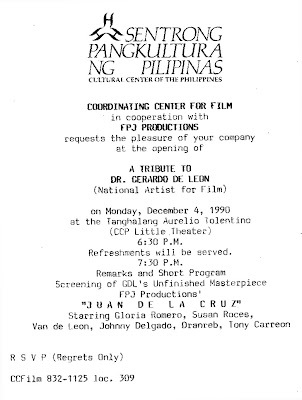 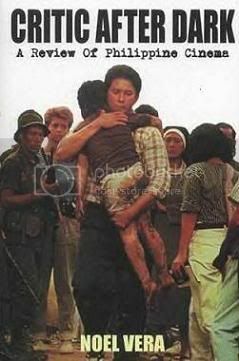 It was held December 4, 1990 at the Cultural Center of The Philippines. 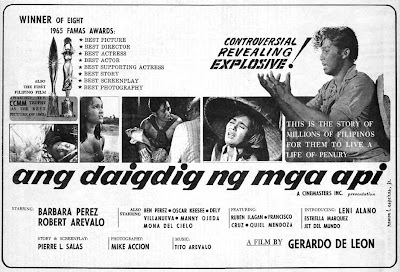 National Artist Gerardo "Gerry" De Leon, film director, belongs to the Ilagan clan and as such grew up in an atmosphere rich in theater. 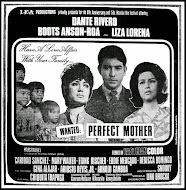 Significantly, De Leon's first job -- while in still in high school -- was as a piano player at Cine Moderno in Quiapo playing the musical accompaniment to the silent films that were being shown at that time. 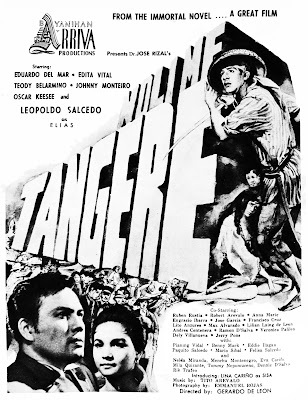 The silent movies served as De Leon's "very good" training ground because the pictures told the story. 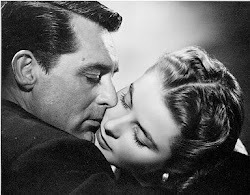 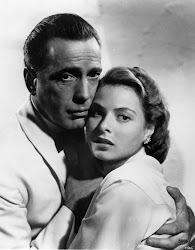 Though he finished medicine, his practice did not last long because he found himself "too compassionate" to be one, this aside from the lure of the movies. 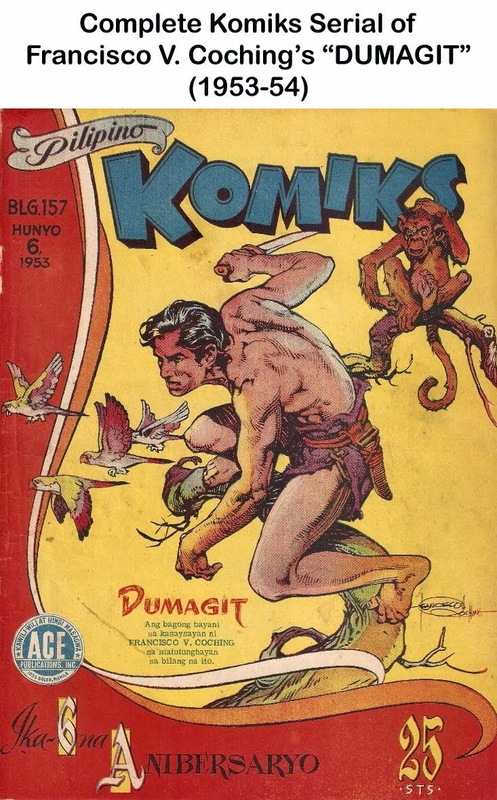 His first directorial job was "Ama't Anak" in which he directed himself and his brother Tito Arevalo. 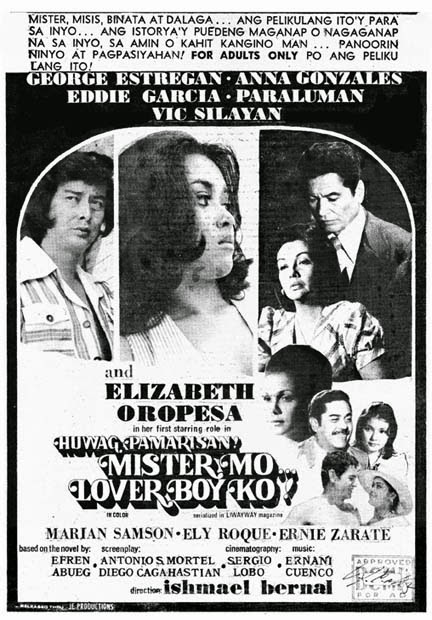 The movie got good reviews. 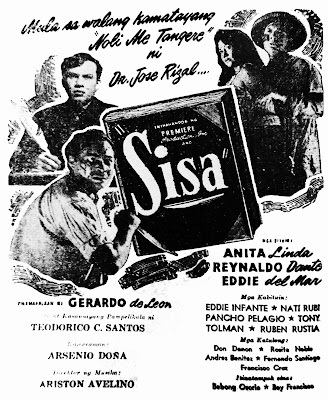 De Leon's biggest pre-war hit was "Ang Maestra" which starred Rogelio de la Rosa and Rosa del Rosario with the still unknown Eddie Romero as writer. 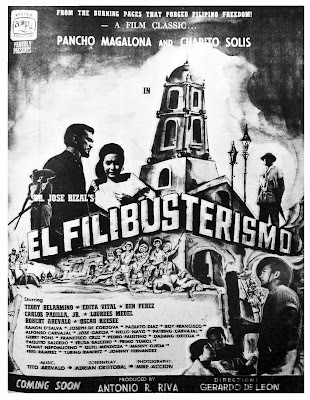 In the 50s and 60s, he directed many films that are now considered classics including "Daigdig ng Mga Api," "Noli Me Tangere," "El Filibusterismo," and "Sisa." 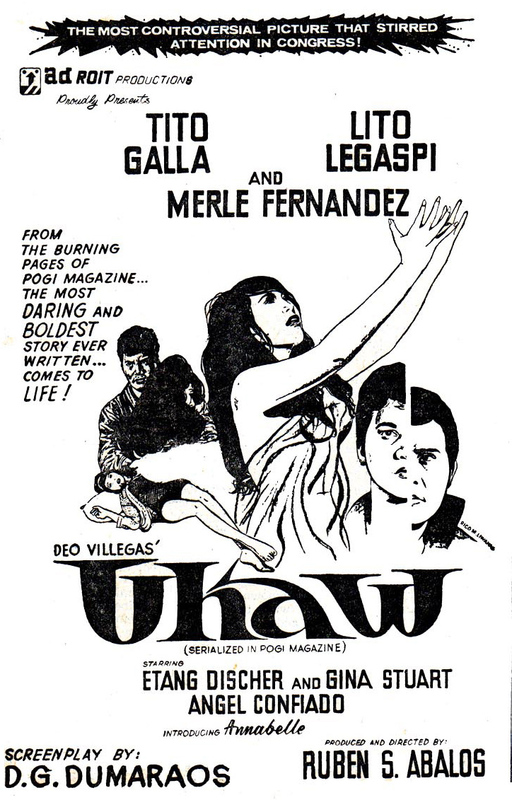 Among a long list of films are "Sawa sa Lumang Simboryo," "Dyesebel," "Pedro Penduko," "Kamay ni Cain," "Sanda Wong," "Ako ang Katarungan." 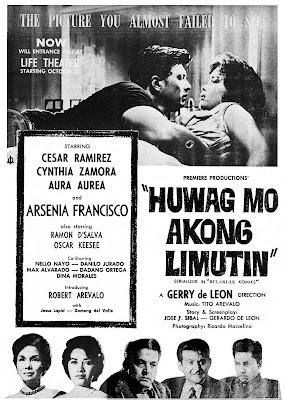 De Leon was the only director to have won the FAMAS [Filipino Academy of Movie Arts and Sciences] Award for Best Director three consecutive years: in 1960, 1961 and 1962. 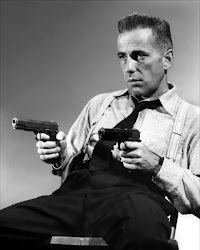 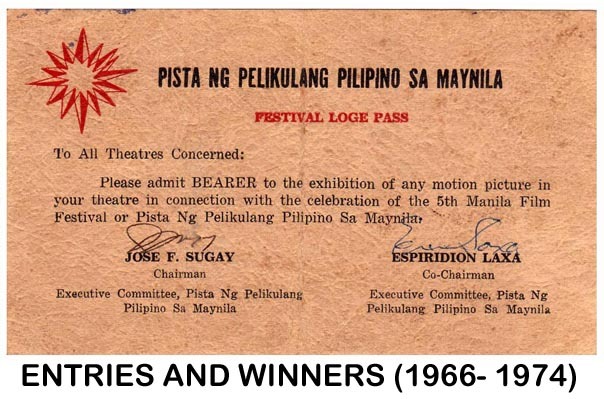 He was most-awarded director in the history of the FAMAS --- 7 awards. 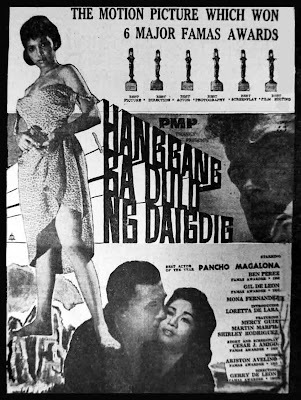 Dyesebel (1953)- It was De Leon who directed the first Dyesebel starring Jaime de la Rosa and Edna Luna in the role. 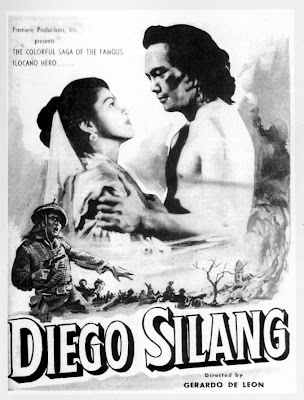 Hanggang sa Dulo ng Daigdig (1958)- His second FAMAS Best Director Award. 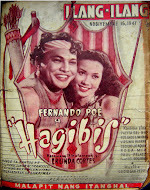 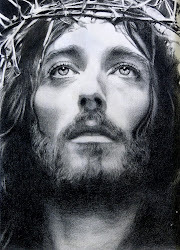 His first FAMAS award was from the movie "Bagong Umaga" in 1952. 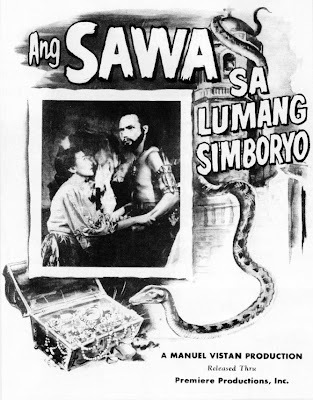 His movie, "Ang Sawa sa Lumang Simboryo" was adjudged Best Picture that year. 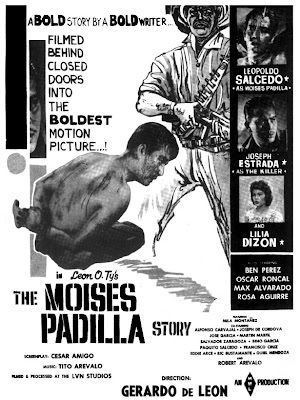 The Moises Padilla Story (1961)- He was also nominated in this movie. 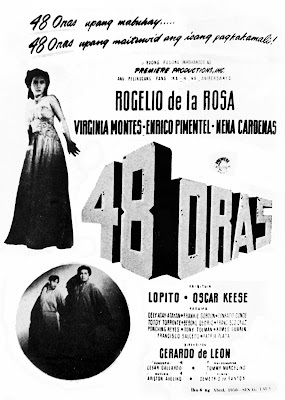 Wonderful posters; sadly they may be all we have left of the actual films. 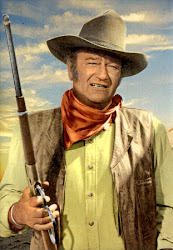 do you have all those olds movie poaster?